Are you crazy about Bikes? Then start race as quickly as you can! 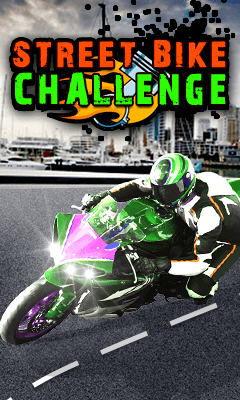 "Street Bike Challenge" is a racing game that will bring fun and real life thrill to you. Ready to take up the challenge? ! Control your Bike by using . 1. Press Up key/Touch up Button to speed up . 2. Press Down key/Touch Down Button to Slow Down . 3. Press Left key/Touch Left Button to move left . 4. Press Right key/Touch right Button to move right .